About the Tours Operating weekends during the Winter and every day in the warmer months. 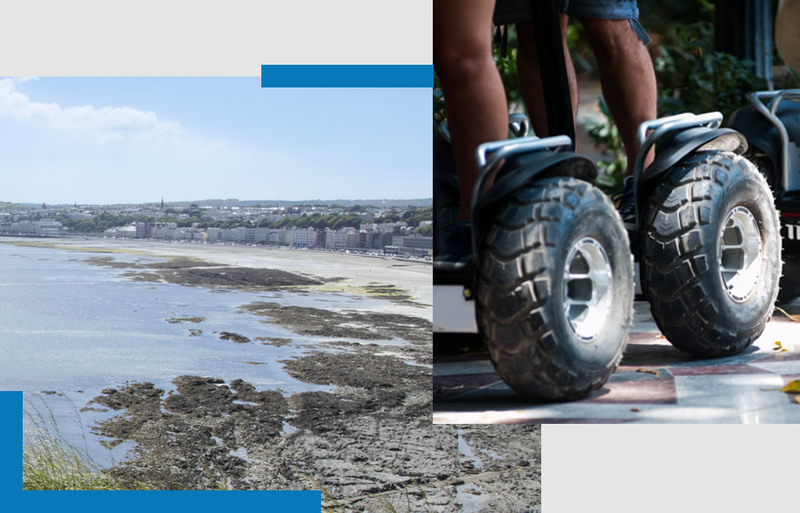 Our Tours operate at weekends during the winter, and every day during the Summer months with a combination of Promenade Tours along Douglas Promenade, through to more adventurous off road Forest Safari's and Beach Glide Tours, usually on Castletown Beach. Please refer to the booking system for the timetable, Facebook or Twitter for details of where we're going to be. Please note that tours will usually continue if light showers are forecast so please bring your wet weather gear! Persistent rain and/or heavy seas crashing over the Promenade sea wall will require us to suspend tours for safety reasons. Please see our cancellation policy. Our most popular Tour. 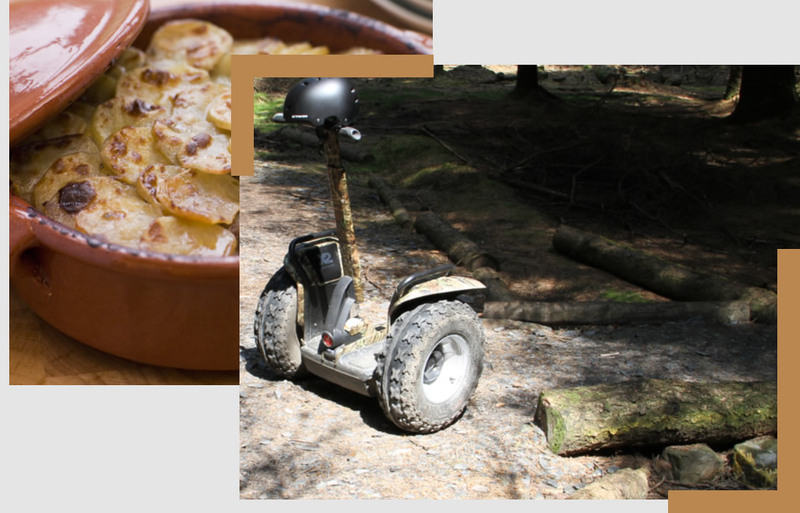 An exhilarating hour long glide through some of the Island's beautiful forests stopping along the way to admire the views and take pictures, with coffee / tea and biscuits to warm you up after your adventure! Please refer to the booking system for the timetable, or check out Facebook or Twitter for details of where we're going to be* Please note Forest Safari times will vary from 50 to 60 minutes dependant on the pace of the group. 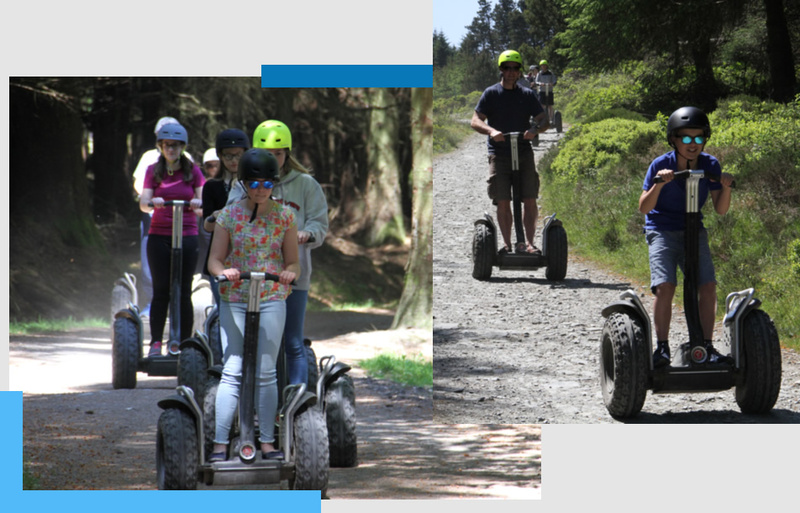 We have a set route which we follow and the group will travel as fast as the slowest Segway Glider (Please allow a further 10-15 minutes on the tour time for the safety briefing and demonstration). An exhilarating glide in the dead of night for those who like a challenge. Dark woods can be spooky if you let your imagination run wild! Hot Chocolate & biscuits to warm you up afterwards! ** Night tours are approx 1 hour in duration dependant on the pace of the group. 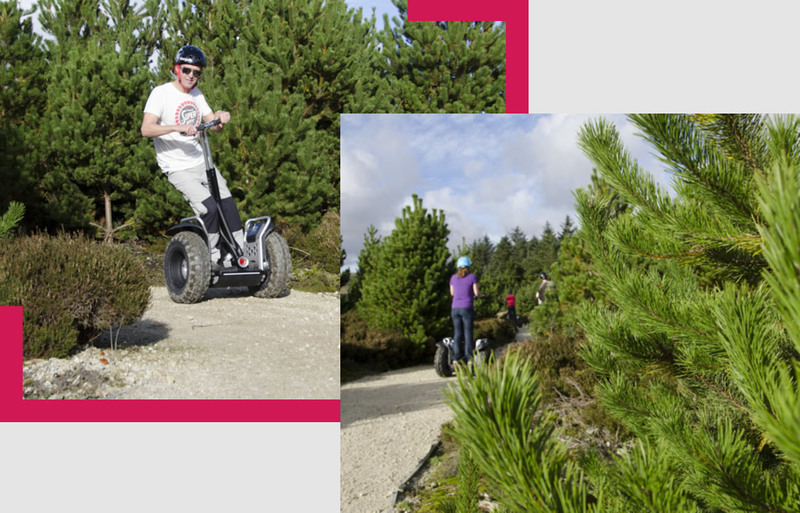 We have a set route which we follow and the group will travel as fast as the slowest Segway Glider (Please allow a further 10-15 minutes on the tour time for the safety briefing and demonstration). You can now book a hearty supper with your Night Glider Tour. Enjoy a delicious chef prepared home cooked meal from our sister company The Tea Junction in a warm classroom afterwards. Food options are 1. Potato, Apple & Bacon Hotpot. 2 Cidered Pork with Sage Dumplings. 3. Beef & Root Vegetable Hotpot. 4. Chicken & Black Pudding Hotpot. 5. Mushroom & Walnut Cobbler. All served with freshly baked bread, tea, coffee or water. You may bring your own wine. PLEASE NOTE MINIMUM NUMBER FOR SUPPER IS 6 PERSONS. 1 dish per group + veggie option if applicable. Dependant on tides and weather will normally take place on Castletown or Peel Beach. We let you zoom up and down the beach for 30 minutes. (Beach Tours are usually by prior arrangement only, please call for details). Please refer to the booking system for the timetable, or check out Facebook or Twitter for details of where we're going to be. £25 / 30 mins Tour Enjoy the promenade! Aimed at larger groups and corporate days out, the Rodeo can accommodate groups of between 12 and 30 people and includes target games, slalom, giant egg & spoon races, quoits and limbo! 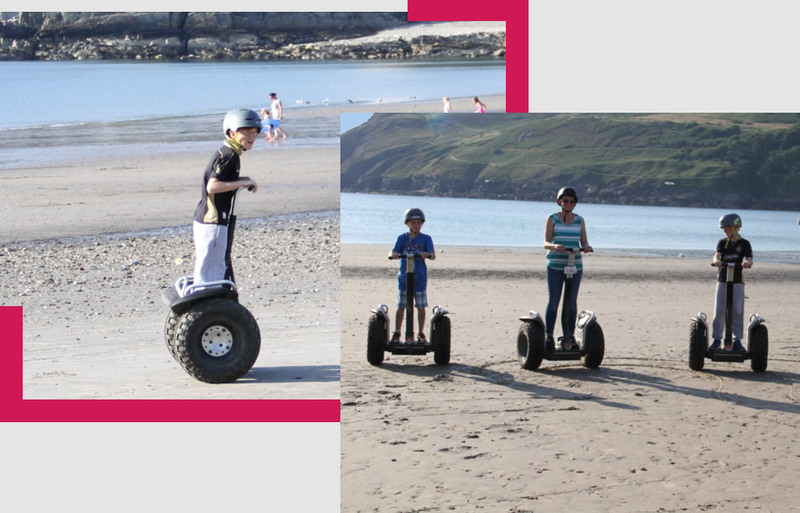 For more details email us at info@segway.im for a personalised quotation. Catering can be arranged via our sister company The Tea Junction.